Planning to travel around Europe? Consider investing in a Eurail pass. Train travel is among the most popular ways to get around the continent, and for good reason. It is quick, convenient, adventurous, and, at times, economical. Eurail offers a variety of rail passes, including single-country passes, regional passes, and global passes that allow you to rail around 23 European countries at your own will. Train travel can be expensive sometimes, though–especially compared to some of the budget airline companies that offer flights across Europe for criminally low prices. That being said, a Eurail pass is still one hell of a value, and it surely beats buying individual train tickets. 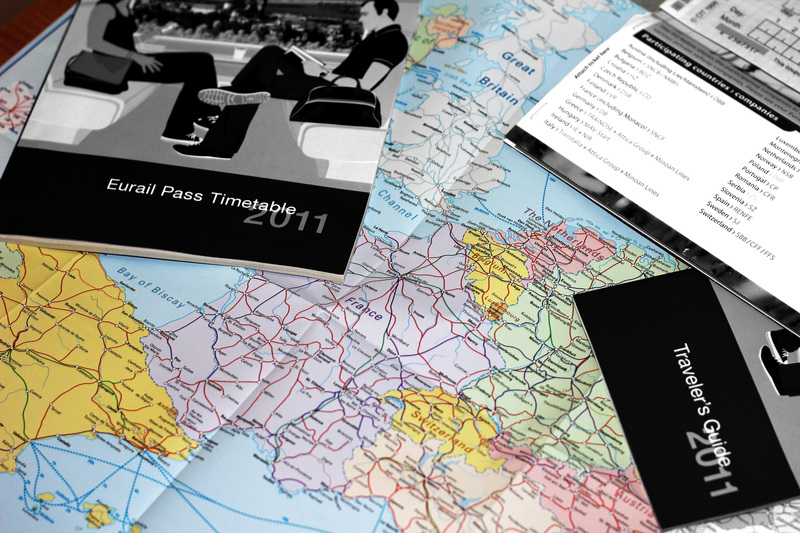 Every Eurail order comes with a travel pack (pictured above), which includes a traveler’s guide, a timetable, and a map of Europe featuring every Eurail line and connection. Keep in mind: Eurail is for non-European residents only. InterRail, however, offers virtually the exact same service for Europeans (and at better prices). My three-country Eurail pass arrived in the mail yesterday. Let the planning begin! First stop: Madrid, Spain. This entry was posted in Uncategorized and tagged eurail, eurail pass, europe, travel by Babak Haghighi. Bookmark the permalink.